While many people think that the vinyl record belongs to the obsolete music technology, others are still its fan. Recently, the resurgence of records creates a trend even it's more and more popular. How to Use a Record Player ? Start and stop button or play/stop label: as its name suggests, you will press this button or the knob to play the record or when you want to stop it. Cueing Lever: you will touch this part if you want to lift or put down even when holding the tonearm in place. While performing, make sure you adjust the lever gently and adequately without moving the tonearm of the turntable if it's unessential. Memo-repeat knob: there are different numbers on this control (but depending on each model). These digits don't let you know the repeated track but the number of times of the album's side. Record Size Selector: in case your record player is designed with an automatic turntable, the record size selector can help the tonearm adjust according to the right size of your record. Pitch Control: because of a few reasons, some vinyl albums available on the market come with weird sounds or pitches. These sounds seem the voice of a man sounds like a girl. To overcome, let you adjust the pitch and tempo so that these sounds can come back the normal condition. Make sure to put your record player in a secure location as long as it's not easy to fall. The dust cover is a device that keeps your model away from damage so just open it when using. In this step, let you lift the wooden top attached to hinges and rest on the build in prop bar to keep it up. Take it out carefully by using a tissue or wearing a pair of gloves to touch the sides. 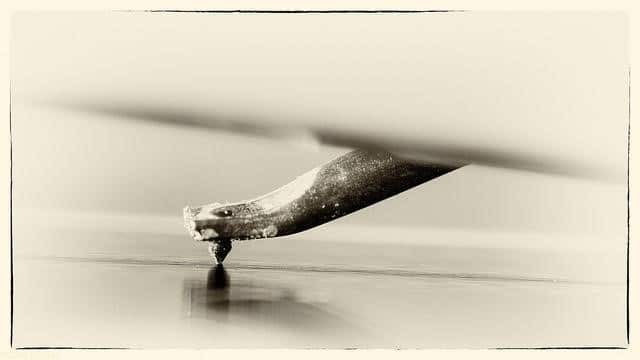 While sliding it out, the record may be damaged if you touch the surface by your hands. 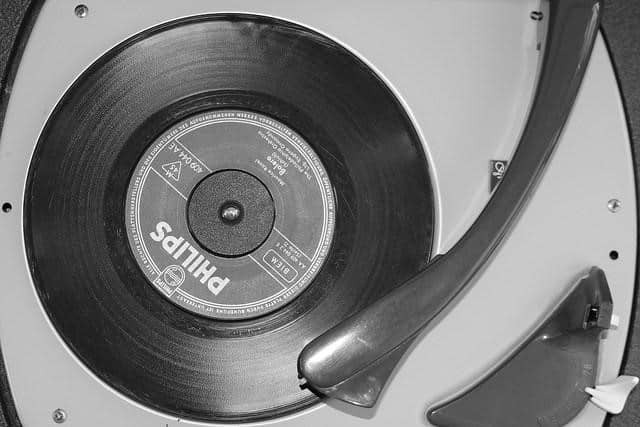 Put your favorite record on the turntable as long as the middle of the metal bar slides through the center of the record's hole. On the market, some records have small holes while others own big holes. Yet, no matter the size of the hole, your record player can accommodate. 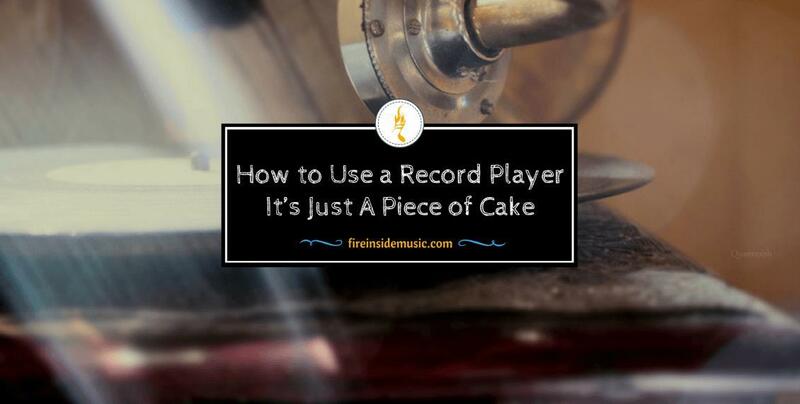 To turn the record player on, you must plug it into a power source in advance. The different models have the "ON" switch in the various positions: on the front or the center of the box, sometimes, you may find out it near to the volume knob. Depend on the size of the record you want to play, pick up a suitable speed. As I mentioned, for example, adjust 33 RPM for a 12'' vinyl record while the smaller sized records should be played at 45 RPM (some players love 78 RPM speed). After choosing the appropriate speed, you need to move the needle putting on the track you want. On the surface, you can see where a new track starts thanks to the pronounced grooves at the different points. The longer the song is, the further the deep grooves are. Doing it gently and slowly over the record to put it in the record's the outermost part then drop the needle. When you have done, let you use the small lever on the needle base to press down. Keep in mind to do it carefully and slowly to make sure your record is safe. When you are done listening to music, you have to turn up the record player by lifting the stylus off the record gently. The lever at the needle base will help you push the needle up as well as turn off the model. Remember to move it to a side to lift the record of the table. For some models, you can allow it to play until the end of the record by itself because they can automatically come back the record arm to the original location after everything ends. 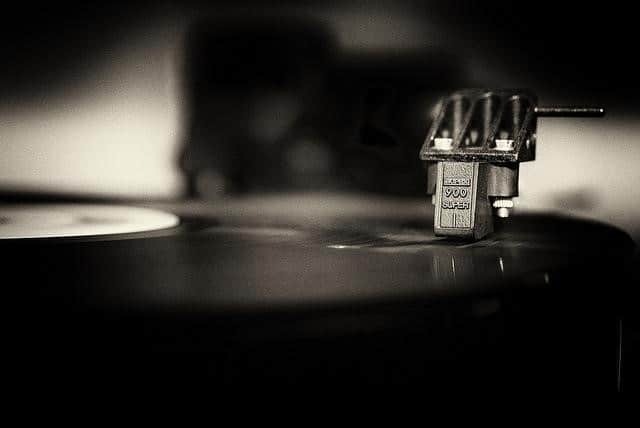 However, if yours come with fewer features when the record needle plays until the end, there will be the appearance of a terrible scratching noise. 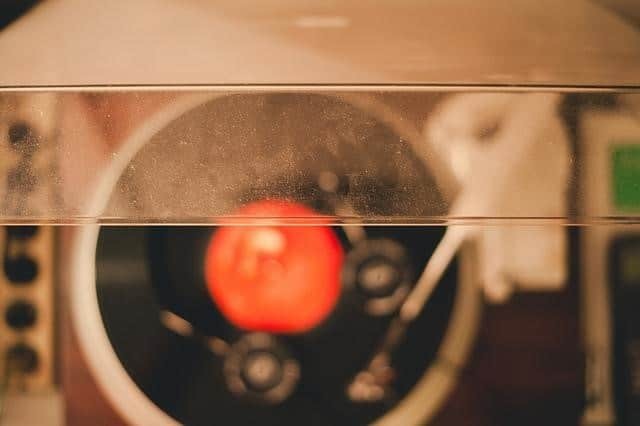 To keep your record player in the tip-top condition, closing the dust cover and disconnecting are the must in this guide “how to use a record player.” Moreover, it also helps you save more energy. In an album, there are many songs. Thus, if your favorite one is not in the first track, you just need to put the tonearm of the turntable above the larger groove before the track after that lowering the tonearm by using the cuing lever until it touches your record. Pay attention to the recommended weight for every cartridge. If you apply the wrong amount, your vinyl record will wear out very soon due to the tracking force on the needle. Before adjusting the tracking force, you have to unplug the turntable to adjust the counterweight until you feel the tonearm likes floating with an equal balance. Finally, your task is just to set the weight to 0. Adjust the counterweight of the tonearm according to the weight specifications of your cartridge. A gauge can let you know an accurate number. When players are using, the anti-skating knob helps them fix the tonearm without moving forward and backward. That means it will stay in a place where you desire. How to adjust needs to have a test or blank record. 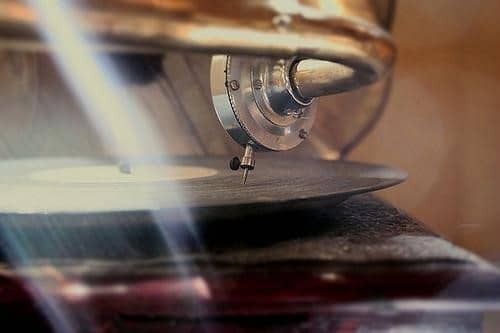 After turning the tonearm towards the middle of the vinyl record, let you pull the lever until the needle touches your record. In case you can't do this successfully, adjust the anti-skating knob properly. 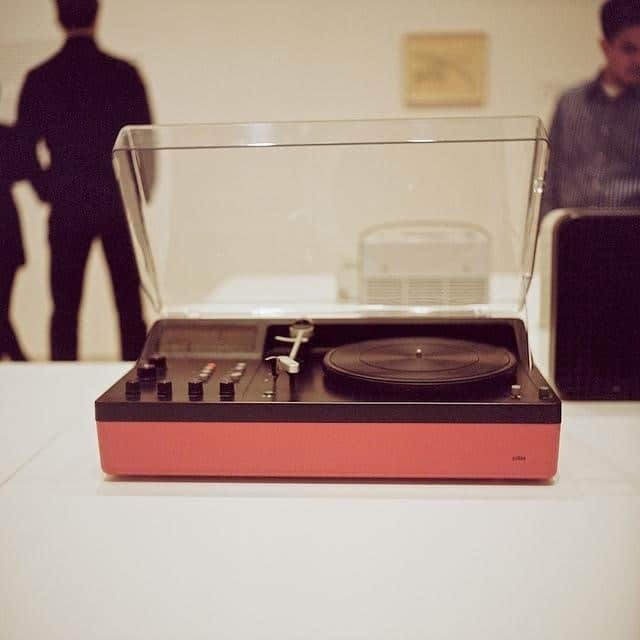 To let users experiment a variety of sound quality, the manufacturer designs the different adjustments on the turntable. Also, there are other features which can provide you the audiophile sounds. To blend and tune an amplifier, you have to clean a vinyl record while maintaining the stylus. To keep your record and needle away from damage, when flipping your record, don't let it be spinning especially the tonearm must be on a side. If you are intending to buy a record player after reading my guide, I highly recommend you invest in a manual or automatic model. Although these are not the inexpensive considerations, the manual record player will let you be in charge totally. Nonetheless, there will be many people believe that the operation of a manual model is complicated. In this case, an automatic record is still a good choice which you can freely control a few processes: weight, tempo, and pitch. And you shouldn't purchase a too cheap model because they usually come with the features which are preset or hidden from the view of the users making hard to adjust. 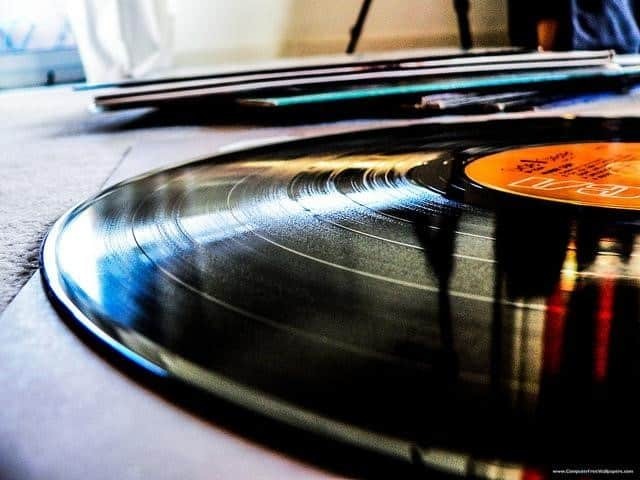 You should buy extra plastic record sleeves to protect your investment away from damages (although in fact, it can’t keep your records always clean in a long time). When it comes to the appeal of the vinyl records, I can’t but mention the album artwork obviously there will be many lovers of records would like to protect them also. So, the solution for you is plastic outer sleeves that can keep it in the tip-top condition. There is one note you need to pay attention when applying this way that is sticky sleeves can harm what is inside when you are trying to take it out. Everyone knows that vinyl is hostile of plastic material. It’s essential to replace the cartridge which is a home to needle and stylus, running in the record’s grooves especially in case you use regularly. The majority of the good record players available on the market can replace so don’t worry. 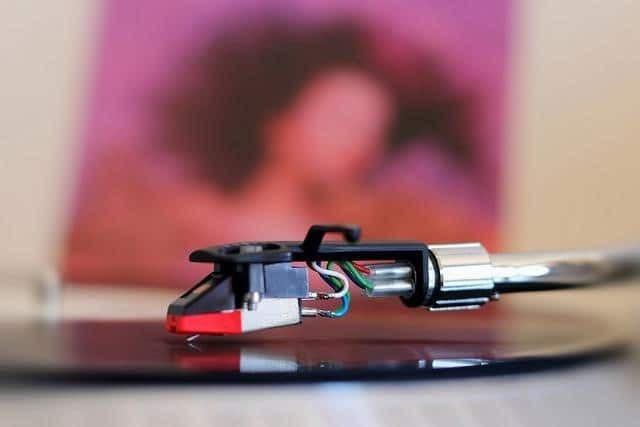 Replacing is a must because, over time, the buildup of debris and dust will wear on the needle or stylus gradually, leading to worse-quality sounds. The reward for you is the improved sounds. When it comes to the position of the speakers, you know that it can influence the quality of the sound system, so it’s essential to put them in the suitable locations. For example, left and right sides are correct, but the requirement is to make a small gap between the back of the speakers and the surface of the wall. For the condition of hard surface (shelf and side table), you can place them on foam to stop the rattling sounds thanks to their ability to absorb the vibrations. 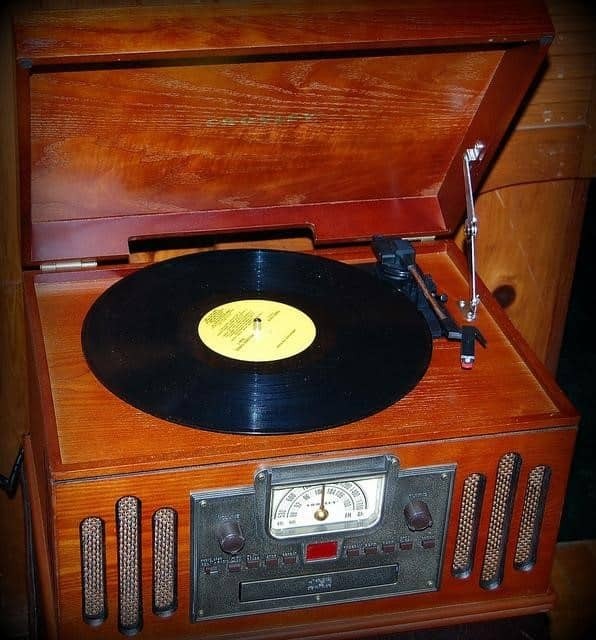 At first glance, how to use a record player seems to be complicated, but after reading my post, it is not difficult as what it seems to be, right? 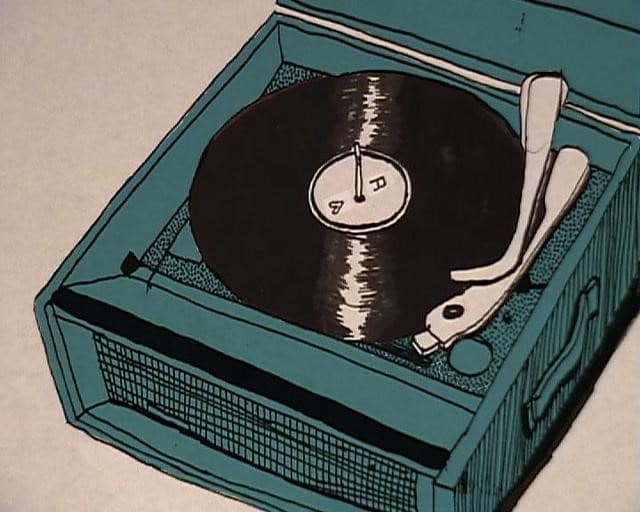 Although a record player doesn't come with a friendly UI, our grandparents can operate it smoothly, why can't we do that even there is the help of Google? You just need to follow my step-to-step guide to enjoy music in a classic style freely. In sum, basically, what you have to do is only to identify the parts needing to be adjusted and in contact with. Believe me. It doesn't take you too long. I am happy to receive your suggestions about my post from extra steps to pro tips. Or please let me know your experiences and results by leaving a comment in the section below. Don't forget to share with your loved ones if you see this is an informative article.